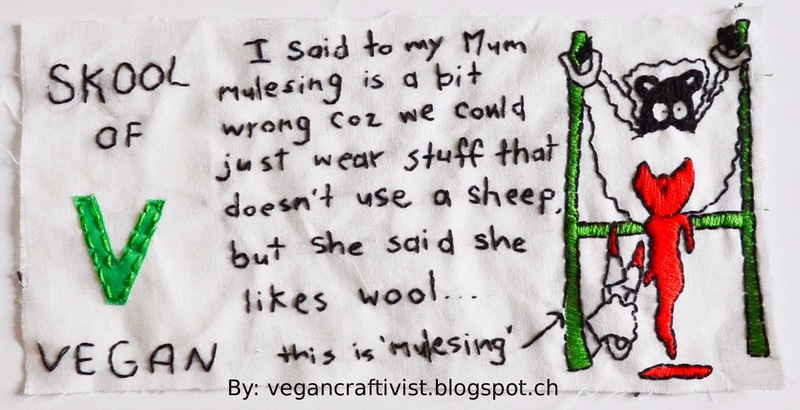 The Vegan Craftivist: Skool of Vegan Craftivism! I'm SO happy to share this with you. I embroidered this banner (top right) and teamed up with Skool of Vegan to help raise funds for Kindred Spirits Sanctuary . Last year, my mom helped rescue a turkey named Libby (short for Animal Liberation), and it takes $350 to feed her for a year. Of course, there are so many other amazing animals living at the sanctuary too. SO this year, I'm asking to please donate just ONE dollar to help. That one dollar will enter you for the chance to get your name embroidered on the banner as a sponsor, which will go up on my larger flag, which will be the end product of this project. You can donate your dollar to the sanctuary by following this link (bottom left of the page for a one-time donation). 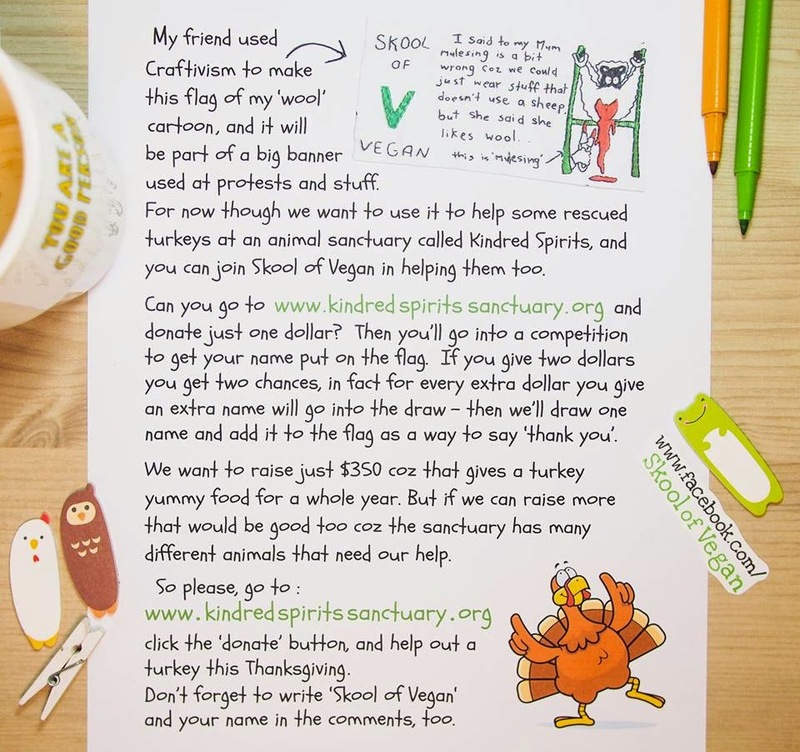 Don't forget to write 'Skool of Vegan' and your name in the comments as you donate, to be entered into the draw.